You may often experience dry eyes or dry mouth due to various internal and external factors. But when it is a daily occurrence, you may have Sjogren’s syndrome. This autoimmune condition is not life-threatening but can offer a challenge as dryness could take over throughout the body. We will take a look at how this disease affects the glands that produce saliva and tears and what a Sjogren’s syndrome diet entails. Sjogren’s syndrome causes your immune system to attack the glands that provide lubrication, such as the salivary glands. It can also affect the joints, throat, lungs, skin, digestive organs, blood vessels, kidneys, nerves, and nose. While it can cause annoyance and discomfort, Sjogren’s syndrome also presents the risk of contracting non-Hodgkin lymphoma cancer, lung problems, or vision issues. It is seen more often in women than men between the ages of 40 to 60 years. It can affect the body with symptoms of dryness, which can lead to itchiness, irritation, heartburn, muscle and joint pain, and upset stomach. This condition may be caused by hormones and genetics. It can also result from rheumatoid arthritis and lupus, referred to as secondary Sjogren’s syndrome. The treatment for this condition is based on your diet as certain foods can help to alleviate inflammation and, therefore, any associated pain. Anti-inflammatory foods include green leafy vegetables, nuts, whole grains, and fish. We have compiled a suggested Sjogren’s diet. To help with the lack of moisture experienced with Sjogren’s syndrome, especially involving the mouth, foods full of moisture should be consumed. These include soft and liquid-like foods such as homemade yogurt, condiments, and gravy. You can also add milk, water, and melted butter to solid foods to create a meal that is easier to swallow and digest. Eating vegetables and fruits is beneficial to your body in many ways, and the more colorful the food, the better it is for you. This is because of the high amount of phytonutrients found within as well as high levels of fiber and antioxidants. Raw vegetables and fruit will better combat inflammation. 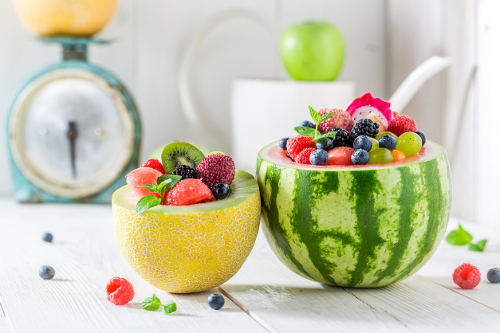 The best fruits are pears, apples, blueberries, lemons, kiwi, blackberries, apricots, papaya, cantaloupe, and honeydew melon. Vegetables to include in a Sjogren’s diet are carrots, cucumbers, beets, Brussels sprouts, green beans, kale, cabbage, asparagus, and cauliflower. We know there are healthy fats and bad fats. The healthy fats are enriched with omega-3 fatty acids such as those found in tuna, mackerel, sardines, avocado, and extra virgin olive oil. Add nuts and seeds like walnuts, almonds, cashews, Brazil nuts, macadamia nuts, sunflower seeds, walnuts, tahini, sesame seeds, and chia seeds to the mix as well. These can be complemented with other inflammation fighters such as garlic, turmeric, and ginger. Patients with Sjogren’s syndrome can benefit from consuming high amounts of fiber in their diet. Fiber not only cleanses your digestive system, but it also helps to regulate bowel movements. Add one tablespoon of flax seeds to your daily diet by sprinkling on various dishes such as salads, cereal, and yogurt. Other good foods for the diet include trout, halibut, coconut water, herbal tea, wild rice, quinoa, brown rice, eggs, lentils, bee pollen, and legumes. You can also get the benefits from oils of hemp seed, walnut, grapeseed, and avocado. While the list of foods for a Sjogren’s syndrome diet may appear to be common sense for good health and functioning of the body, there are also some foods to avoid. The following list outlines foods that can drain the moisture from your body and cause inflammation, which contributes to the problem. The good-tasting, greasy foods are usually also high in hydrogenated or trans fats, which are to be avoided on this diet. They could cause inflammation, as can red meat, from excess arachidonic acid. Regular consumption of these fats may also lead to heart disease. Foods containing canola and corn oils may cause inflammation as the digestive system turns the omega-6 fatty acids into the potentially harmful arachidonic acid noted above. Foods to avoid include packaged candy, corn syrup, bread, pasta, and bakery cakes. These treats cause the blood sugar levels to rise rapidly due to the high amounts of carbohydrates, which make the pancreas fight harder to produce sufficient amounts of insulin. Sjogren’s syndrome tends to cause a dry and irritated mouth. By eating spicy or sweet food, the irritation can become worse. The lack of saliva might also create an environment ripe for cavities as saliva usually protects the teeth from such a problem. Allergenic foods such as dairy, peanuts, and eggs should be avoided by those with Sjogren’s syndrome, even if they do not have allergies to these foods. Other foods to avoid include preservatives, wheat products, gluten, hard or crispy foods, popcorn, alcohol, caffeine, carbonated beverages, and tough meats. All of these and similar foods produce a texture that will only exacerbate dryness and irritation and may induce inflammation. You can treat Sjogren’s syndrome symptoms of dryness and irritation, and possibly prevent further complications, at home. The following tips can be incorporated into your daily activities and diet. Help with dry eyes by using an eye lubricant or artificial tears. They can be found in preservative-free options of gels, drops, or ointments. Avoid staring at computer and television screens for prolonged periods of time. Increase humidity levels in indoor environments while avoiding eye exposure to wind or blowing air. Use sunglasses or other protective eyewear when outside. Be sure to drink plenty of fluids, preferably water, to keep your mouth and throat moist. With a lack of saliva, it is important to protect your mouth by sucking on unprocessed, sugarless candy or chewing gum to prevent cavities. You can also increase saliva production with the use of lemon juice. There are also saliva substitutes available in spray or lozenge form. For the dryness of the nose that can be linked to Sjogren’s syndrome, use a nasal spray. This could prevent nasal blockages and problems with breathing through the mouth and nose. In addition to promoting saliva production, it is important to have regular checkups with your dentist and take care of your mouth at home. It is vital to brush and floss often and possibly use fluoride treatments. Another dryness issue caused by Sjogren’s syndrome may be dry skin that body moisturizers can be used on a daily basis to treat. Avoid using hot water when cleansing, and use the pat dry method. Sjogren’s syndrome can be troublesome for many patients as the dryness internally and externally can cause irritation and pain. It is important to incorporate certain foods into your diet that do not promote dehydration by actually adding moisture to your skin and organs. Lifestyle choices can also induce inflammation and dryness and can be easily avoided with a few simple steps. “Sjogren’s Syndrome,” NHS UK; http://www.nhs.uk/Conditions/Sjogrens-syndrome/Pages/Introduction.aspx, last accessed June 5, 2017.